Rosby Wines are the epitome of low-impact viticulture and truly boutique wine production. Borne from 15 acres of 20-year-old cabernet sauvignon and shiraz grapes — planted, pruned and picked by hand — the vineyard is carefully managed to produce high-quality, low-yield crops. Varietals are pressed in small parcels at a local winery, and lovingly tended by both vigneron and winemaker to produce a fine, fruit-driven wine designed to age well. The 2009 vintage saw the addition of a deliciously sticky liqueur port and in 2011 a refreshing rosé added to the Rosby cabernet and shiraz staples. In 2014, new blocks of riesling, chardonnay and sangiovese were planted as a future complement to the reds already in the cellar. Rosby’s label speaks to the authentic home-grown flavour of the Norton-Knight’s production: A daughter graces the front label in a dress snatched from Kay’s wardrobe, while true stories of life on the vineyard delight drinkers on the back. This is life at Rosby: simple, unspoiled, and best enjoyed in the company of friends. The small fruit yields underpinning the Norton-Knight’s low-impact farming philosophy mean that Rosby wines won’t ever be found in bottle shops. Instead, orders are taken online, by phone, email, or by literally knocking on Kay and Gerald’s door. 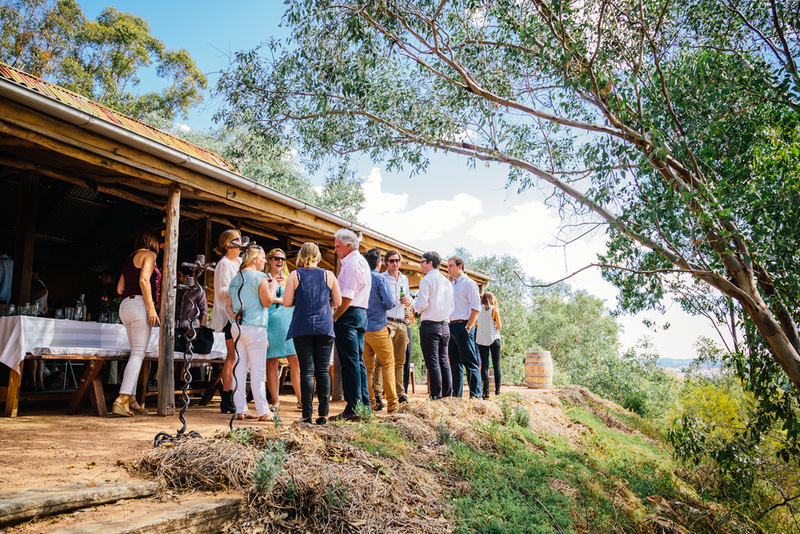 Wine lovers can experience the full range of Rosby wines in Gerald’s purpose-built hut overlooking the vineyard, in an environment where they truly shine: paired with food sourced from local produce, cooked by local chefs, alongside the man who made it.